3DSemantix has partnered with leading CAD and PLM editors and distributors in order to provide you with the best integration for his geometric or shape search engine 3DPartFinder. As part of the Trace Group founded in 1989, TraceParts develops and markets software solutions for CAD part libraries, electronic catalogs and product configurators specifically designed to meet the requirements of the component industry. TraceParts helps customers improve marketing efficiencies by increasing the value of their existing digital product data. The TracePartsOnline.net CAD portal is freely available to millions of CAD users worldwide, with hundreds of supplier catalogs and 100 million CAD models and product datasheets suitable for the Design, Purchasing, Manufacturing and Maintenance processes. 3DPartFinder is a shape search product that does for parts what Google™ search engine does with text: it finds and displays parts similar to the initial inquiry. That initial inquiry can come in various ways. One approach is to load an existing file of the target part and launch 3DPartFinder. Another approach is to sketch a rough 3D of the target part in Autodesk® Inventor® software, and then have the search engine find similar parts. 3DSemantix is part the Solution Partner Program from Siemens PLM in order to provide advance Geometric search technology and our solutions to all users of the Solid Edge community. Our products are also available as customer specific project for NX and TEAMCENTER. 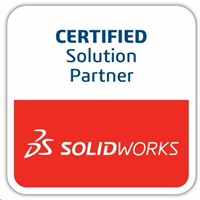 3DSemantix is a Certified Solution Partner of SOLIDWORKS from the creation of our company. The first integration of 3DPartFinder in a CAD system was realised in SOLIDWORKS and we offer our Geometric search technology and solutions to all users of this community from that time. Our solutions are available for SOLIDWORKS and supports Enterprise PDM (EPDM), Workgroup PDM and Enovia Smarteam PLM. 3DPartFinder solutions are also available for Dassault Systèmes CATIA product line. 3DSemantix partner with ORACLE PLM in order to provide Geometric or Shape search capabilities in PLM solutions and in AutoVue 3D viewer. Solutions are available for e6 and soon A9 offer from ORACLE PLM. 3DSemantix signed an agreement with SofTech in order to provide Geometric search capabilities to all industrial users of the SofTech community. SofTech is also providing 3DPartFinder product line to the ARAS Innovator community. 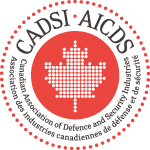 3DSemantix is a proud member of The Canadian Association of Defence and Security Industries (CADSI) that represents the Canadian defence and security industries. CADSI represents member companies selling to the defence and public security markets. 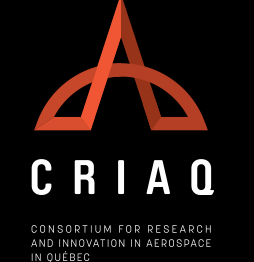 3DSemantix is member of the CRIAQ a Consortium for Research and Innovation in Aerospace in Québec, Canada (CRIAQ). It is a non-profit organization established in 2002 with the financial support of the Québec government. Its mission is to increase the competitiveness of the aerospace industry, and enhance the collective knowledge base in aerospace through improved education and training of students. 3DSemantix is member of the CARIC or Consortium for Aerospace Research and Innovation in Canada (CARIC) a non-profit organization that was created in 2014 with the Canadian federal government’s financial support. CARIC’s mission is to generate and foster dialogue and collaboration between players in the aerospace industry and provide financial support to launch R&D projects in partnership with these players. 3DSemantix is a member of the COE organization formerly the CATIA Operators Exchange) an international professional organization uniting the users of Dassault Systèmes software solutions. It represents members from the aerospace & defense; automotive & transportation; architecture, engineering & construction; energy & process; industrial equipment; consumer goods, consumer packaged goods; shipbuilding; financial & business services; high tech electronics; and life sciences industries.